Early last month I sent a cover to Iqaluit Post Office to get a cancel from there, and today the cover returned with a nice cancel. Iqaluit is the capital of Nunavut. 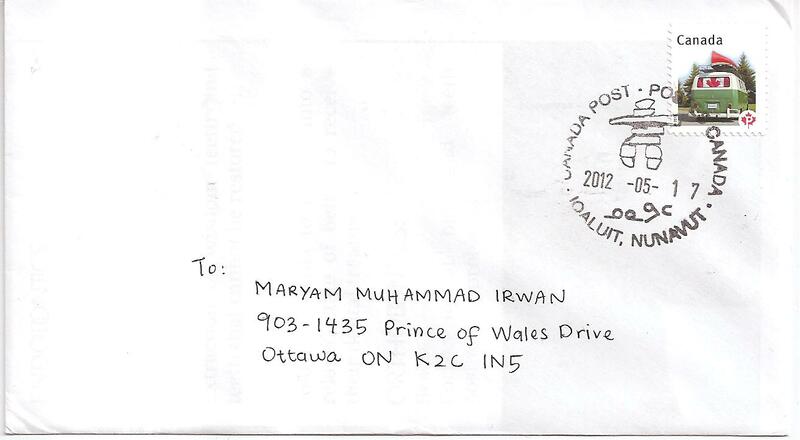 The postmark date is 17 May 2012. The cancel features an image of inukshuk, land marker made of stone used by the Inuits. Below the date is the word Nunavut written in Inuktikut language. Thank you Postmaster! 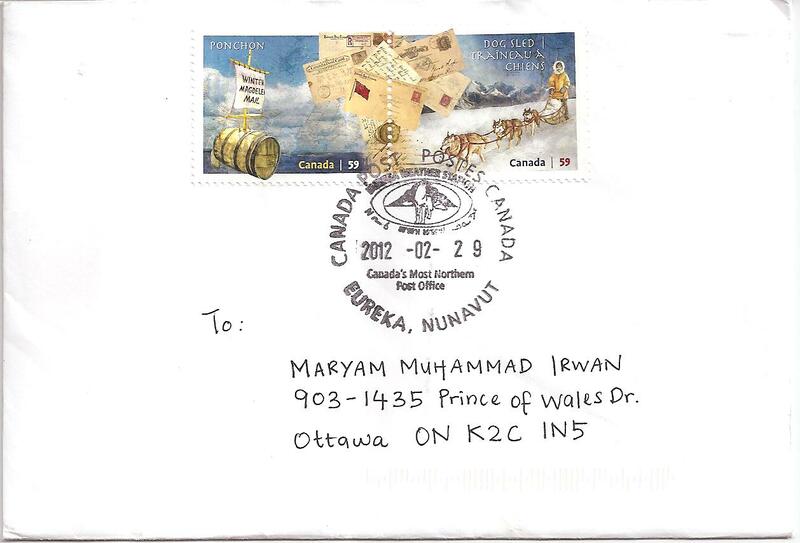 On 26 February 2012, I sent a cover to Eureka Post Office in Nunavut to get a cancel from there. I received the cover back. The postmark date is 29 February 2012. Thank you Postmaster!